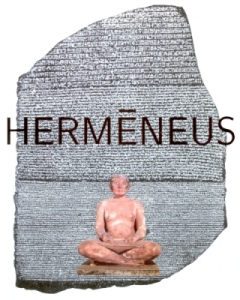 The bibliographic information of the Project Hermēneus as well as of the articles published in Hermēneus. Revista de Traducción e Interpretación [Hermēneus. Journal of Translation and Interpreting] is gathered in the following abstract, repository, and index bases: Web of Science (WOS) / Emerging Sources Citation Index (ISCE) / Core Collection, the Repositorio Español de Ciencia y Tecnología (RECYT) de la Fundación Española para la Ciencia y la Tecnología (FECYT) [Spanish Repository of Science and Technology of the Spanish Foundation for Science and Technology], the bibliographic database of the CSIC Sumarios ISOC – Lengua y Literatura [Spanish National Research Council Abstracts ISOC – Language and Literature], the LATINDEX catalogue [Serialized Scientific Publications of Latin America, The Caribbean, Spain, and Portugal], the index Dialnet Plus, as well as in Ulrichs Web. Among these resources, FECYT and Dialnet Plus offer complete text access to Hermēneus articles. The above-mentioned bibliographic information may also be accessed in the collective catalogues of SUDOC (France), ZDB (Germany), and COPAC (Great Britain). The works published in Hermēneus can be found in the following specialized databases: the MLA International Bibliography/Directory of Periodicals, Linguistics and Language Behaviour Abstracts (CSA), the database BITRA (Bibliography of Interpreting and Translation of the University of Alicante, Spain), British Humanities Index (BHI), Linguistics Abstracts (LABS) and Humanities Source (EBSCO). The bibliographic information concerning the works published in Hermēneus may also be consulted in the database of abstracts and citations BITRA and SCOPUS [SciVerse Scopus], and in the multidisciplinary bases FRANCIS of the Institut de L’Information Scientifique (INIST) [Institute of the National Centre for Scientific Research] of the Centre Nacional de la Recherche Scientifique (CNRS) [National Centre for Scientific Research], Informe Académico (GALE Cengage Learning) and Fuente Académica Premier (EBSCO) [Premier Academic Source]. The latter offers full text access. The references to the works published in Hermēneus. Revista de Traducción e Interpretación and Vertere. Monográficos de Traducción e Interpretación are collected in the series: A Bibliography of Literary Theory, Criticism, and Philology by J. A. García Landa (Universidad de Zaragoza), the Linguistic Bibliography / Bibliographie Linguistique (Brill Academic Publishers: Leiden, The Netherlands, ISSN 0378-4592). The corresponding abstracts are regularly included in the specialized journal Translation Studies Abstracts (St. Jerome: Manchester, ISSN 1460-3063/1742-9137). Detailed information concerning the editorial policy of Hermēneus with respect to accessing its archives and to copyright may be consulted in the project DULCINEA based on the taxonomy established by SHERPA-RoMEO (University of Nottingham). 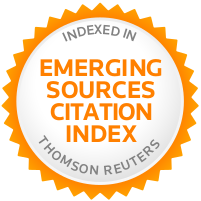 The evaluation of the circulation and impact of our journal may be consulted on the web sites of the following projects: European Reference Index for the Humanities (ERIH Plus) of the European Science Foundation (EFS), DICE (Difusión y calidad de las revistas españolas de humanidades y ciencias sociales y jurídicas) [Circulation and quality of the Spanish journals of humanities, social sciences and law], RESH (Resultados del análisis de las Revistas Españolas de Ciencias Sociales y Humanas desde el punto de vista de su calidad) [Results of the analysis of the Spanish Journals of Human and Social Sciences from a quality point of view], MIAR (Matriu d’Informació per a l’Avaluació de Revistes, 2010) [2010 version], and CARHUS+ (versión de 2015) [2015 version].